Architects, designers, builders, contractors, installers, manufacturers and distributors come together until May 11 at the Georgia World Congress Center in Atlanta (USA) to attend Coverings 2018, the most representative appointment for the surface coatings sector of the American market. Coverings 2018 plans to surpass the figure of 28,000 attendees registered in the last edition, held in Orlando. Being present in this international meeting, ITT Ceramic intends to reaffirm its vocation to consolidate itself as a leading supplier of ceramic solutions for the US market, one of the priority keys in the strategy of expansion of the brand, belonging to the Saniceramic Group. And it is that the sales of Spanish ceramics in the United States registered an increase of almost 25% in 2016, constituting the second most important export market for the tile industry in Spain. In this regard, it should be noted that this upward trend continues, since in the first two months of this 2018 sales have increased almost 22% and have accounted for 37.5 million euros. 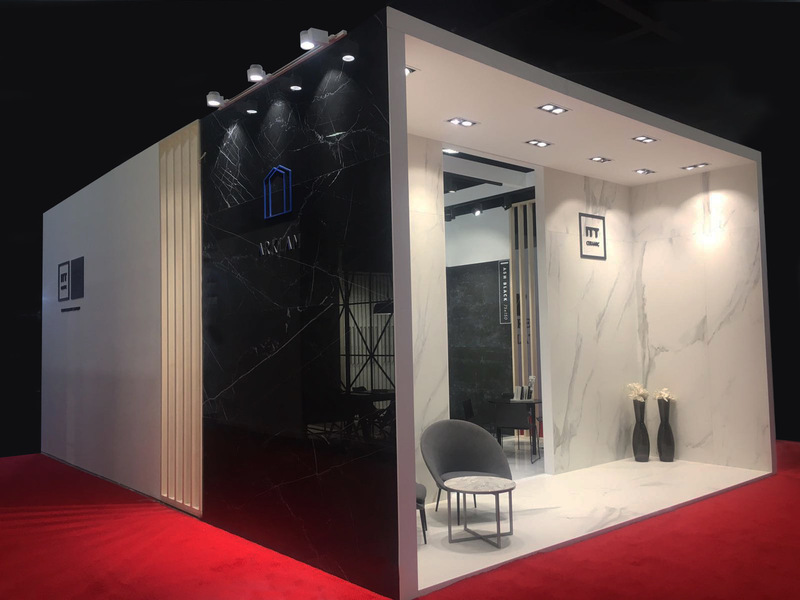 Among the novelties that ITT Ceramic is presenting in Coverings 2018 excels Ash Black, available in 75×75 and 37.5×75 formats and now also in 75×150, which expands the collections of porcelain colored mass and which is having a remarkable reception among the professional audience of Coverings for its versatility and personality. Arklam Super Size, a product with unique characteristics. Other ITT Ceramic’s big bets for this event is Arklam Super Size. The variety of finishes (rusted sheet, cement, marble …), strength and functionality are distinctive features of this product line. And it is one with multiple applications. The formats 1000×3000 and 1500×2600 with 6 mm can be used as an interior or exterior pavement or as an exterior cladding (ventilated facades). Arklam 6 mm is a lightweight and resistant ceramic that is especially suitable also for rehabilitation projects and, since it can be applied directly on the existing surface, it saves costs and handling times. It has two finishes: Matte satin and polished. 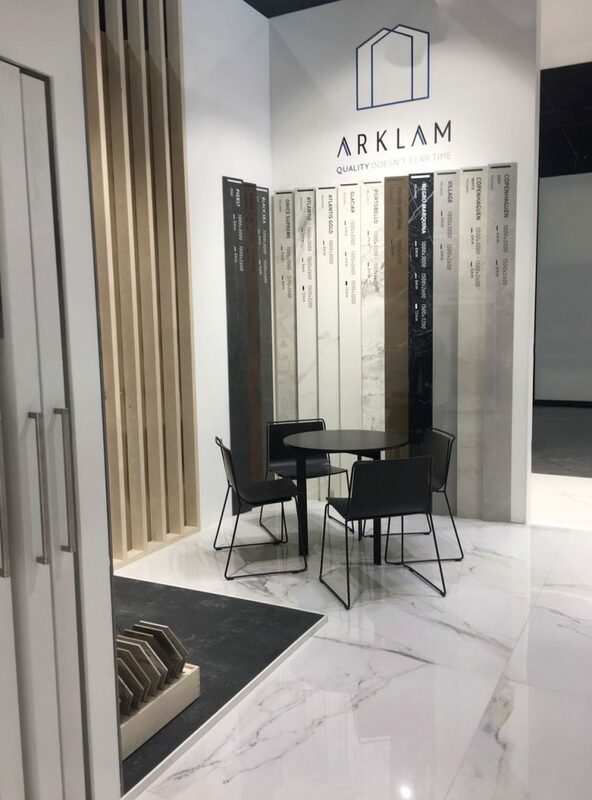 On the other hand, the format 1500×3200 of Arklam 12 mm is perfect for kitchen countertops because of its impressive dimensions and high performance technical characteristics. Check here for the location of ITT Ceramic in Coverings (Hall B4, stand 3563).